In this blog, I’ll be exploring how converging exponential technologies (AI, Robotics, Drones, Sensors, Networks) are transforming the future of disaster relief — how we can prevent them in the first place and get help to victims during that first golden hour wherein immediate relief can save lives. Aside from democratizing the world’s information, however, this upsurge in connectivity will soon grant anyone the ability to broadcast detailed geotagged data, particularly those most vulnerable to natural disasters. Already, a number of key players are leveraging AI, crowdsourced intelligence, and cutting edge visualizations to optimize crisis response and multiply relief speeds. Take One Concern, for instance. Born out of Stanford under the mentorship of leading AI expert Andrew Ng, One Concern leverages AI through analytical disaster assessment and calculated damage estimates. Partnering with the City of Los Angeles, San Francisco, and numerous cities in San Mateo County, the platform assigns verified, unique ‘digital fingerprints’ to every element in a city. Building robust models of each system, One Concern’s AI platform can then monitor site-specific impacts of not only climate change but each individual natural disaster, from sweeping thermal shifts to seismic movement. This data, combined with that of city infrastructure and former disasters are then used to predict future damage under a range of disaster scenarios, informing prevention methods and structures in need of reinforcement. Within just four years, One Concern can now make precise predictions with an 85 percent accuracy rate under 15 minutes. One extraordinary story is that of Ushahidi. Within days, four ‘techies’ heeded the call, building a platform that crowdsourced first-hand reports via SMS, mined the web for answers, and — with over 40,000 verified reports — sent alerts back to locals on the ground and viewers across the world. Today, Ushahidi has been used in over 150 countries, reaching a total of 20 million people across 100,000+ deployments. Now an open-source crisis-mapping software, its V3 (or “Ushahidi in the Cloud”) is accessible to anyone, mining millions of Tweets, hundreds of thousands of news articles, and geotagged, time-stamped data from countless sources. Aggregating one of the longest-running crisis maps to date, Ushahidi’s Syria Tracker has proved invaluable in the crowdsourcing of witness reports. Providing real-time geographic visualizations of all verified data, Syria Tracker has enabled civilians to report everything from missing people and relief supply needs, to civilian casualties and disease outbreaks — all while evading the government’s cell network, keeping identities private, and verifying reports prior to publication. In short, this means that individual mobile users can together establish a local mesh network using nothing but the compute power in their own devices. Or take a coastal community in the throes of torrential rainfall and failing infrastructure. Now empowered by a collective live feed, verification of data reports takes a matter of seconds, and richly layered data informs first responders and AI platforms with unbelievable accuracy and specificity of relief needs. And the Cheetah III is not alone. Just this February, Tokyo’s Electric Power Company (TEPCO) has put one of its own robots to the test. For the first time since Japan’s devastating 2011 tsunami, which led to three nuclear meltdowns in the nation’s Fukushima nuclear power plant, a robot has successfully examined the reactor’s fuel. As wildfires grow ever more untamable, high-volume production of such bots could prove a true lifesaver. Paired with predictive AI forest fire mapping and autonomous hauling vehicles, not only will solutions like MHi’s Cannon Bot save numerous lives, but avoid population displacement and paralyzing damage to our natural environment before disaster has the chance to spread. 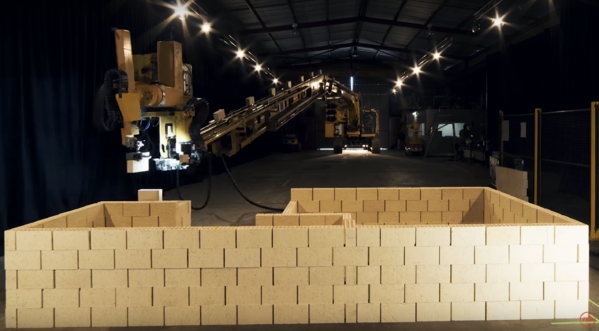 After multiple iterations by Fastbrick Robotics, the Hadrian X end-to-end bricklaying robot can now autonomously build a fully livable, 180-square meter home in under 3 days. Using a laser-guided robotic attachment, the all-in-one brick-loaded truck simply drives to a construction site and directs blocks through its robotic arm in accordance with a 3D model. But what if we need to build emergency shelters from local soil at hand? Marking an extraordinary convergence between robotics and 3D printing, the Institute of Advanced Architecture of Catalonia (IAAC) is already working on a solution. In a major feat for low-cost construction in remote zones, IAAC has found a way to convert almost any soil into a building material with three times the tensile strength of industrial clay. Offering myriad benefits, including natural insulation, low GHG emissions, fire protection, air circulation and thermal mediation, IAAC’s new 3D printed native soil can build houses on-site for as little as $1,000. But while cutting edge robotics unlock extraordinary new frontiers for low-cost, large-scale emergency construction, novel hardware and computing breakthroughs are also enabling robotic scale at the other extreme of the spectrum. Again, inspired by biological phenomena, robotics specialists across the U.S. have begun to pilot tiny robotic prototypes for locating trapped individuals and assessing infrastructural damage. 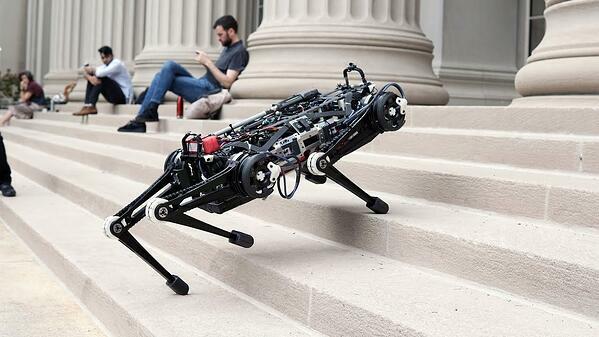 Or Carnegie Mellon’s prototyped Snakebot, capable of navigating through entry points that would otherwise be completely inaccessible to human responders. Driven by AI, the Snakebot can maneuver through even the most densely packed rubble to locate survivors, using cameras and microphones for communication. But beyond surveillance, UAVs have begun to provide lifesaving supplies across some of the most remote regions of the globe. One of the most inspiring examples to date is Zipline. Created in 2014, Zipline has completed 12,352 life-saving drone deliveries to date. 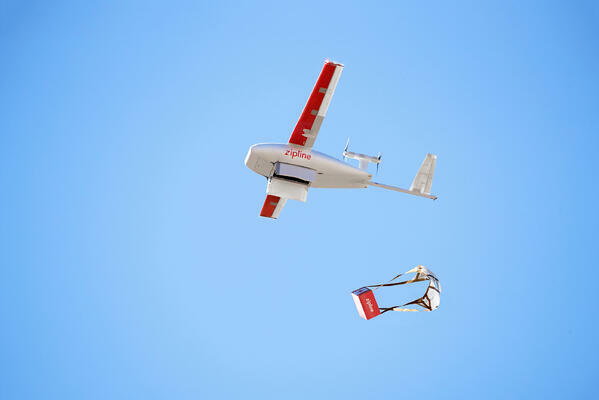 While drones are designed, tested and assembled in California, Zipline primarily operates in Rwanda and Tanzania, hiring local operators and providing over 11 million people with instant access to medical supplies. Providing everything from vaccines and HIV medications to blood and IV tubes, Zipline’s drones far outpace ground-based supply transport, in many instances providing life-critical blood cells, plasma and platelets in under an hour. Now developing its drones under contracts with DARPA and the U.S. Marine Corps, Logistic Gliders, Inc. has built autonomously navigating drones capable of carrying 1,800 pounds of cargo over unprecedented long distances. Built from plywood, Logistic’s gliders are projected to cost as little as a few hundred dollars each, making them perfect candidates for high-volume, remote aid deliveries, whether navigated by a pilot or self-flown in accordance with real-time disaster zone mapping. And as a wave of new hardware advancements gives rise to robotic responders, swarm technology and aerial drones, we are fast approaching an age of instantaneous and efficiently distributed responses, in the midst of conflict and natural catastrophes alike.